NBC’s upfront trailer for This Is Us was viewed 50 million times on Facebook within 11 days! This Is Us has drawn an audience of over10million views. The newly released 2016-2017 This Is Us TV show has had a fantastic start with a 33% jump in the demo version. The NBC TV show has achieved a high rating of 2.8 which is in the 18-49 demo, the highest ever recorded in any show. This Is Us upfront trailer was able to capture the tv shows premiere audience. The official trailer was released in May and became trendy throughout over summer. Through social media such as Facebook, it generated interests and excitement and soon achieved a viral sensation. 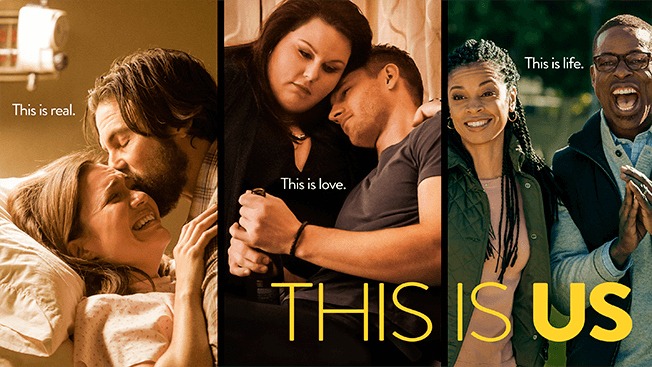 This Is Us was able to hit 50million Facebook views in the first 11 days of its release. At the moment, it stands at over 105 million views indexed across all platforms worldwide. Why don’t you watch it for yourself? “What really stood out to us was the way that the people who watched the trailer started tagging their friends and their family and saying things like, ‘This is going to be our next show’ or ‘I can’t wait to watch this with you,'” said Goldsmith – svp, marketing strategy and digital, NBC Entertainment. In their analysis, the team determined that “the trailer, and the show as well, do a great job of taking these big moments [like childbirth] and these small moments [like the overweight sibling slipping off her earrings before stepping on a scale], and making them feel relatable,” said Goldsmith. That prompted them to release a fatherhood-centric promo just before Father’s Day. Essentially, This Is Us campaign achieved huge success without spoiling the show’s big twist. “Spoiler alert,” Mandy Moore and Milo Ventimiglia, the young couple who were preparing for their childbirth, were featured in the greater part of the plot. They are the real parents of three siblings: Sterling K. Brown, Chrissy Metz, and Justin Hartley. The twist involves present times and flashbacks brought to enhance its thrill. The couple adopted Sterling K. Brown in the hospital where he was abandoned after one of his triplet siblings died. Dan Fogelman, the creator of the This Is Us trailer, said he did not expect that kind of public acceptance. He knew that the campaign done was going to be useful but not to that big degree. The trailer started tagging family and friends in it hence attracting referral type of views. The video was the central pillar of the campaign that drove a huge amount of traffic. The cast was able to bring out the public’s expectation. Through the use of outdoor advertising, indoor advertising, and social media, This Is Us was able to hit incredible traffic searches and totally killed its television premiere!